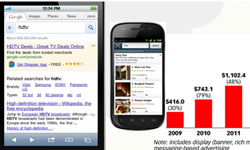 Writing a Google text ad is an art form in the Internet marketing world. Sponsored ads not only have to adhere to Google’s specific guidelines and ad policy but there are elements of creativity, writer’s craft and the need for a keen marketing eye. The ultimate goal is to write an ad that will result in a qualified click-through from potential customers that have found a relevant product or service that they had been searching for. 1. The Headline – The title can be up to 25 characters. It should include the keywords that your business would like to be searched and found for. 2. Two Lines of Text – These two lines are 70 characters combined. They are used to best describe the product or service. The second line is also used as a “call-to-action.” This is an enticement or incentive to click on the ad (i.e. “for the best price visit…”). 3. URL Line – The last line will include the website’s landing page address. Now that the basics are in place, you can begin to unleash your creativity by writing a variety of ads for your products and services. What makes your business unique? Let’s take lawyers as a popular example of an AdWords customer. If your firm runs a smaller, affordable practice, focusing on cases regarding unlawful dismissal, let the customer know. A generic Google ad for, “Lawyers in (your city)” will never stand out amongst the others in this saturated marketplace. Customers will want to know what’s in it for them. Of course, you have to be truthful. Remember, customers will critique and investigate your site before making contact. Offering free products and services when there are none, is a very poor customer experience and Google will penalize your ad accordingly. Ideally the landing page that your ad will point to will speak to a particular discount, promotional price, or a coupon offer. Actually, advertising for free services isn’t the wisest approach to writing ad copy. Remember, you are trying to draw in qualified, paying customers. Not bargain hunters looking for freebies. Only mention free products and services if they help your business to stand out, such as a free gift with purchase. Mentioning cost-saving solutions and affordability is a much better approach. Bonus Tip – You can weed out unqualified leads by mentioning a starting price, service area or specific services. Copy stating “From As Low As” will also protect the legitimacy of your ad copy as long as the numbers quoted match your landing page. OnTaRiO cOrPoRaTe LaWyEr <- Never do this to stand out. Inventory Financing/Due Diligance <- spelling error. Also, Google will not accept an abuse of punctuation. 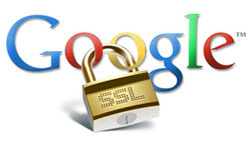 Limit the use of “$”, “!”, and “&” in your copy as your ad will not be approved thus not shown on the Google content network. In addition to standing out, having a creative call-to-action and being grammatically correct, every ad should be different. Use more than one keyword to target your business in an ad campaign. This will increase your audience reach and your chance of success. As your campaigns mature over time, the more relevant your ads are to a landing page, the adgroup and the list of keywords associated, the more likely your ad will be served over your competitors. Let’s not forget that this is only the introduction to Google ads. 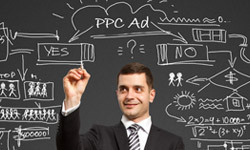 Businesses still have to set up and manage their PPC campaigns on a daily basis. This is why so many companies hire a web marketing firm to compose their ad copy and to manage their accounts. Pay-Per-Click is a talent and expertise that not many individuals do well. If venturing into a campaign for the first time, expect some trial and error, but have patience, AdWords are definitely worth overcoming the learning curve. They yield some of the best internet marketing results at the lowest cost vs. most traditional channels. It’s very important to stand out from your competitors because as a reader many of these campaigns can appear the same! I need a reason to click on the ad. Those are the basics and I appreciate them. But a lot of people engaged in the SEO or Ad business, most of the times miss out one of the most important part of the industry. I say being truthful is one of the key points we have to consider. The world of cyberspace has exponentially exploded in the past decade. Nowadays, it has become very hard to find 100% reliable sources of information in the internet, especially for the newbies or naive unsuspecting victims. I believe being effective in the internet marketing industry has become an ordinary skill to very many people that a lot of the people earning focus on the business side and forget the ethics side of it.